I am making cartoon-Grass. I already know how to make color variation for a material. 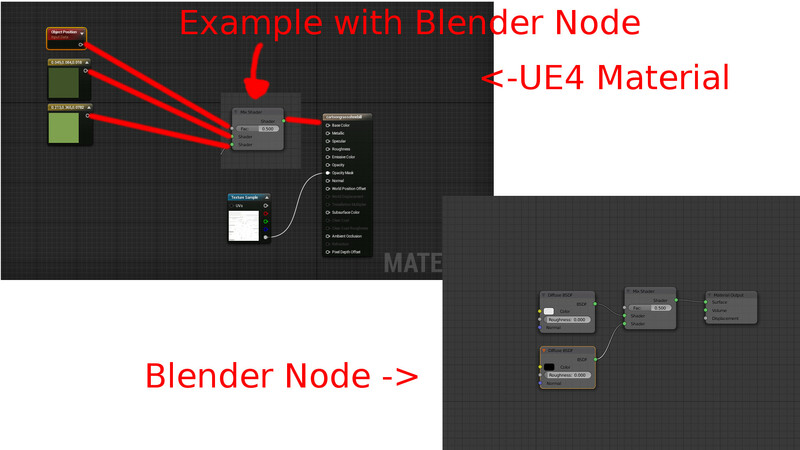 I am using Blender cycles and there is a function named: Mix Shader. With this node you set a value to choose between (in this case) two different colored materials. In UE4 I would like to have two colors (which I can change later in real time an an material instance). And for example the Objekt position choose how much from which color the mesh get. Hello S3B3ST, you could use a LERP node for that. it has two inputs, and an alpha control to mix between them. Also, take a look at the speedtree material node, it can also affect color variation. How to create a simple mirror material for use with PlanarReflection?